We decided a few weeks ago that if we were going to go to Detroit, we were going to make a weekend out of it. 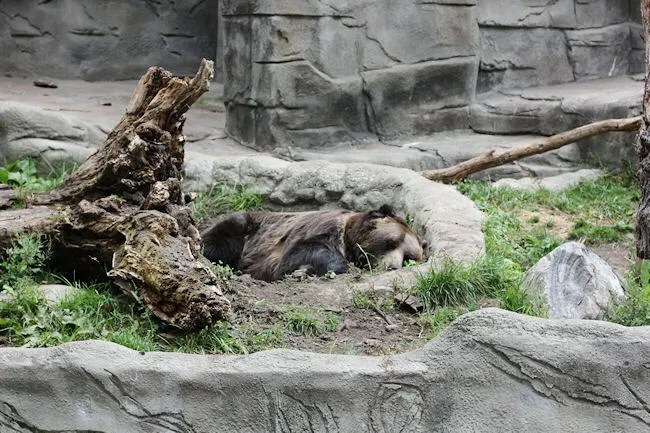 Sunday was a concert downtown at the Fox Theatre, but on Monday, we were going to spend some quality family time outdoors at the zoo. 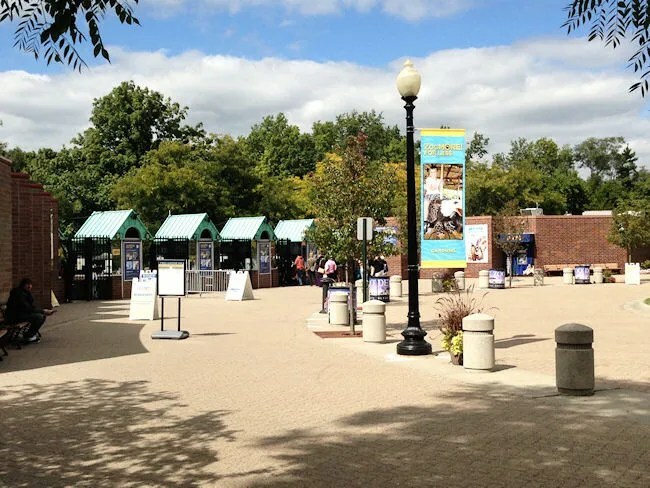 The Detroit Zoo is a few miles north of the Detroit city limits on the corner of 10 Mile and Woodward in Royal Oak. It’s just off of I-696 and easy to get in to and out of. There is a parking garage accessible from either 10 Mile or Woodward and there’s a large surface lot at the 10 Mile entrance. Being a Monday, there wasn’t a whole lot of people there, so we just parked in the garage and walked to the main gate where we were the only ones in the non-members line. Everyone else was lined up to get in the members entrance. 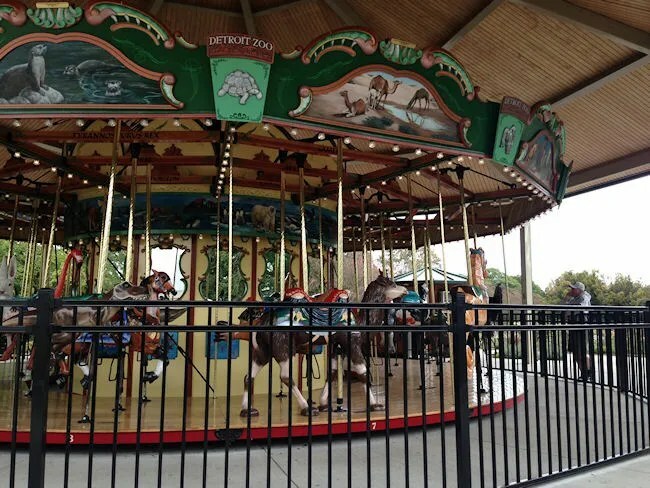 J and I are members at Binder Park Zoo in Battle Creek and that worked to our advantage at Detroit. We got 50% off our admission, so instead of paying $28 for the two of us (L was free because she’s still under 2), we got in for $14 plus $5 for parking…a total of $19. Once inside the gates, we didn’t really know where to go. 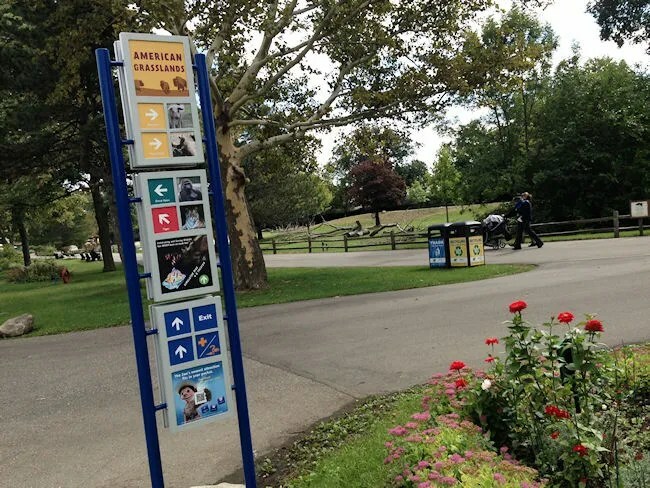 The zoo is setup so you can walk a path and see all of the animals. 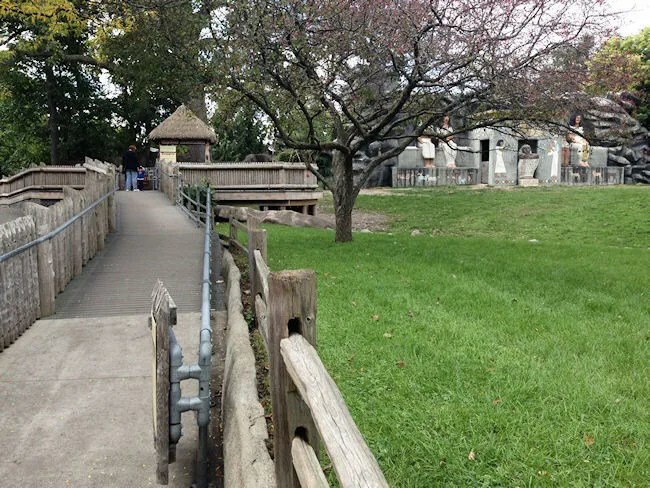 The zoo is divided in to eleven habitats. I pulled the map out of my back pocket and we sort of planned our route. It’s a little bit of a walk passed a lot of green space to where you start getting to animals, but we found a peacock near the bathrooms and that grabbed L’s attention right away. 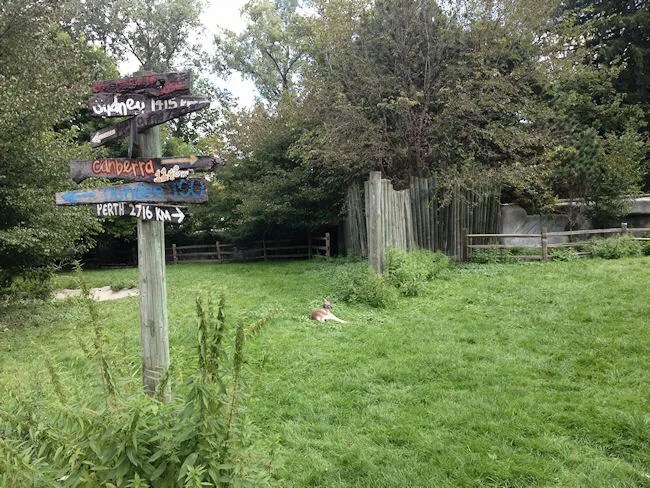 The zoo is set up so there are a couple of paths you could take and see all of the animals. 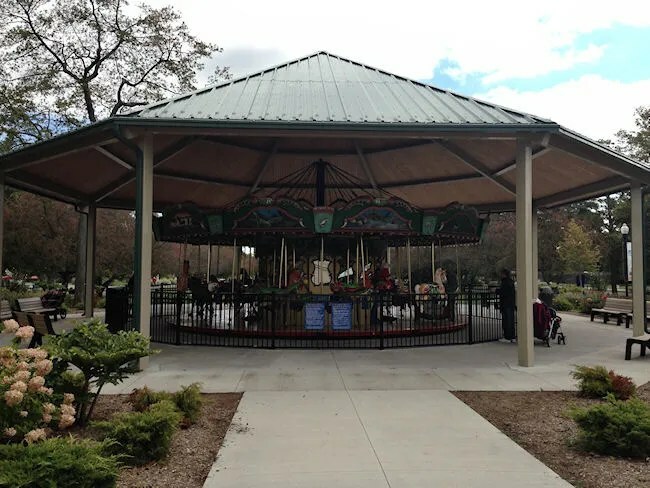 We chose to go counter-clockwise around the zoo which just seems more natural. The first animal exhibit we came on where we actually found an animal was the camels. We walked past the beaver and river otter habitat…which was really cool looking, but we didn’t see any animals in that area. Just past the camel was the tiger habitat and he was pretty active. L saw right as we started walking up to the fence and started saying “rawr” The unfortunate thing about a lot of these exhibits is the plantings around the fence. It looks real pretty, but there are flowers blocking the view from stroller height. We didn’t want to take L out just yet so she had to kind of sit up real high in her stroller to see over the flowers. As we turned around from the tiger exhibit, we found what L really wanted to see…. The Great Apes of Harambee which is part of the African Forest Exhibit. To L, they’re all “Ah-Ah” (read that as the sound a monkey makes) and she got really excited as we got her up to a window where she could really see some of the apes climbing around and one even right in front of the window for her. This exhibit is pretty large and there are viewing platforms all the way around. After L got her fill of monkey’s, we came upon the Arctic Ring of Life. 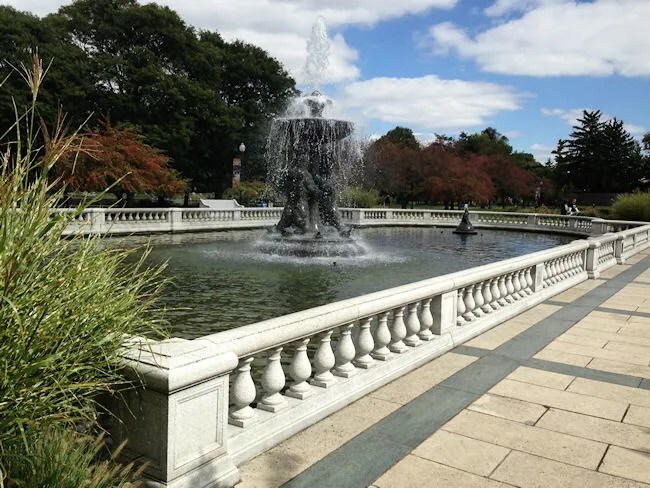 This exhibit is pretty large and was sparsely populated when we were there, but on lucky days, this has one of the coolest features of the Detroit. 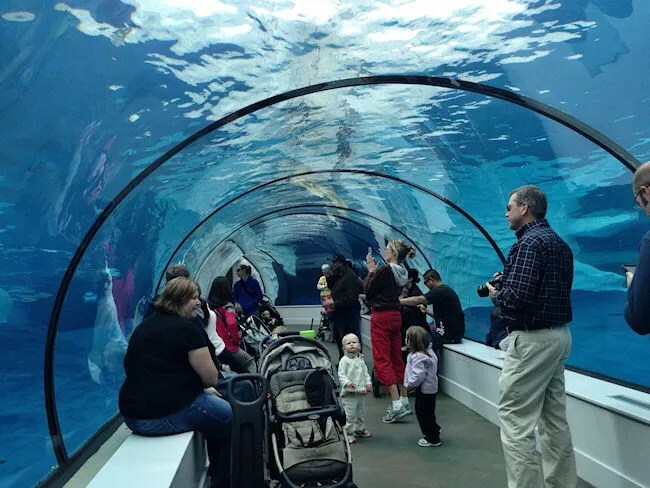 The Polar Bear has a large pool to swim in and there is a tunnel, the Frederick and Barbara Erb Polar Bear Passage, that puts you underneath the water. 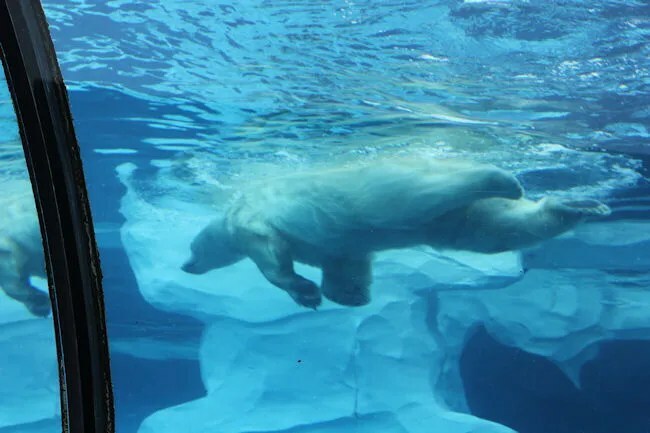 The 70 foot long, 12 food wide and 8 foot tall tunnel runs directly under the polar bear’s pool and we just happened to show up at the right time. 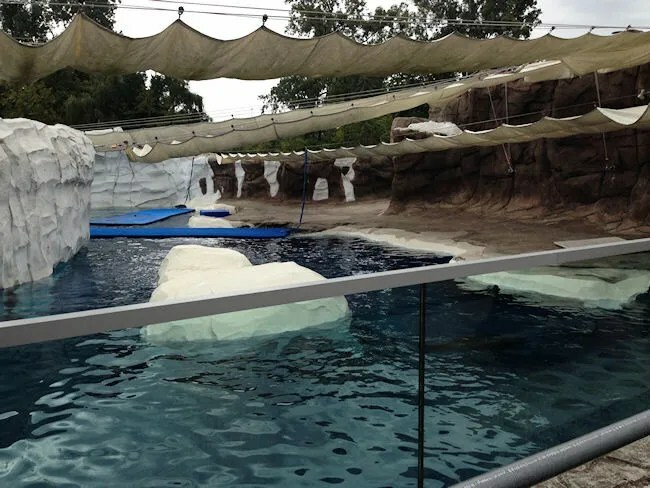 As we were making our way down the ramp in to the tunnel, a volunteer came out and said the bear just jumped in the pool. We sat there in awe as the bear swam over our heads and right up to the windows where we could see him. The volunteers were telling us this doesn’t happen all the time and it was a special treat to see the bear in the water. 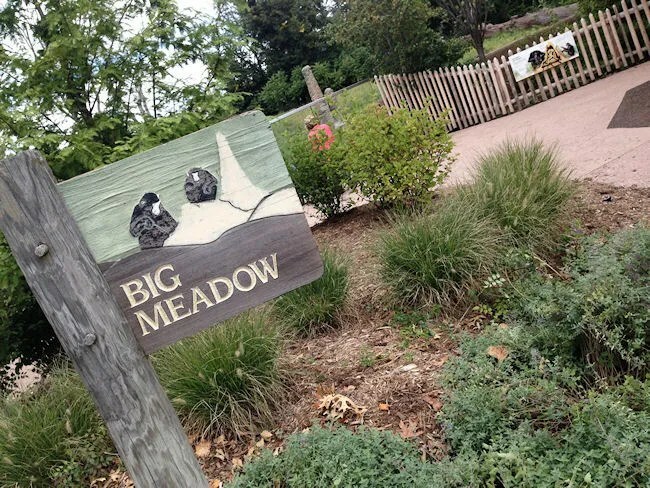 Before heading to Australia, we took a swing through the African Grasslands. The big attraction here is the Giraffe Encounter. 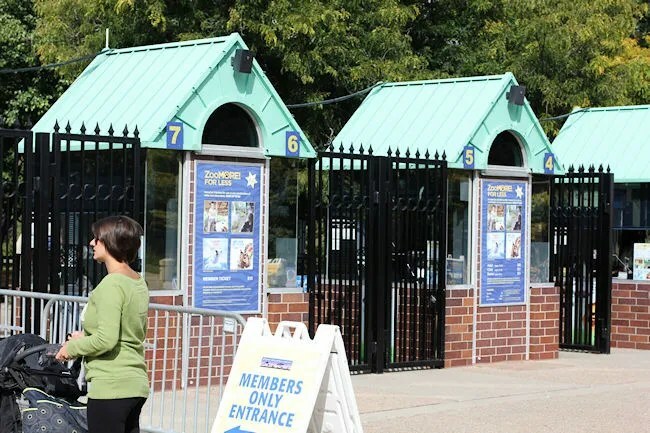 It was actually closed so we couldn’t feed the giraffe’s, but honestly, I really think Binder Park Zoo‘s is much better. The Detroit Zoo had two giraffe’s that were out near the back of the habitat. There’s a ramp that takes you up to a feeding platform, but, like I said, we were there on a Monday and it was closed, so we couldn’t have fed the giraffe’s if we wanted to. 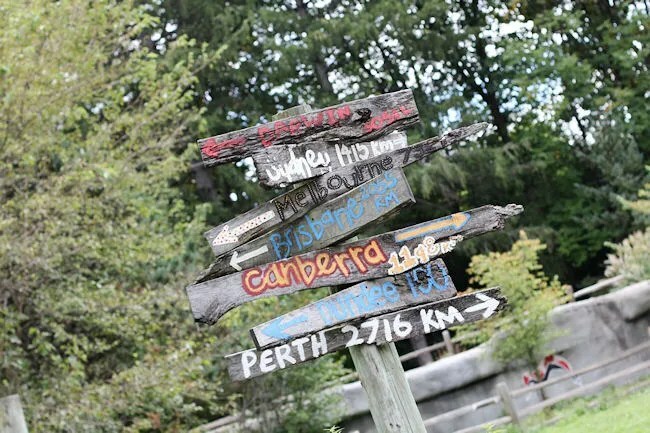 We headed around the back side of the bear exhibit and came to the Australian Outback Adventure. This is another of the zoo’s really cool features. I thought it was a little odd that there was a volunteer at the entrance to Outback and she asked us to take the food off L’s stroller tray. It was then she explained that the exhibit is completely open and there are no barriers between you and the animals. 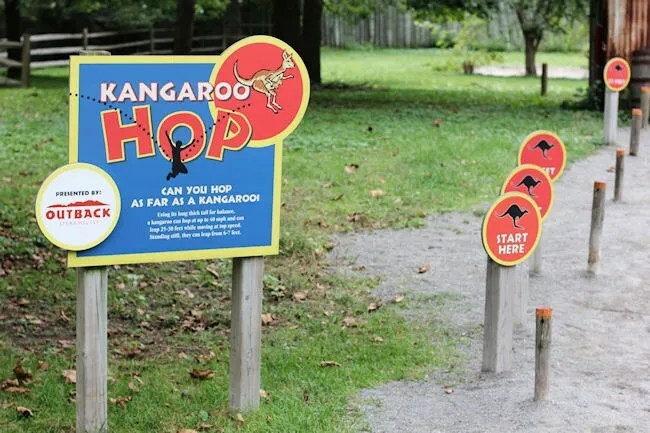 There’s a gravel walking path that you have to stay on, but the kangaroo’s and wallaby’s can go wherever they want…even if that means that want to come right up to you. Unfortunately, or maybe fortunately…I don’t know, all the animals were pretty relaxed just laying around. We really wanted to see the kangaroos bounce (boing, boing), but it didn’t happen. L was starting to get pretty tired as we started making our way back to parking garage. We did a couple quick glances at the rest of the American Grasslands exhibits and on the way out, we noticed the Penguinarium, so we did a quick walk through, but this is an exhibit that desperately needs updating….and I say that because that is actually what is going to be happening over the next couple years. Come 2015, that is going to be a really cool thing to see. We wrapped up our in a little over two hours and headed back to the car. 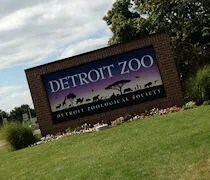 I’m incredibly happy we decided to spend the night in Detroit and check out the zoo after our concert on Sunday. We didn’t really have any expectations when we walked in the gates, but we were both really impressed with what we saw. 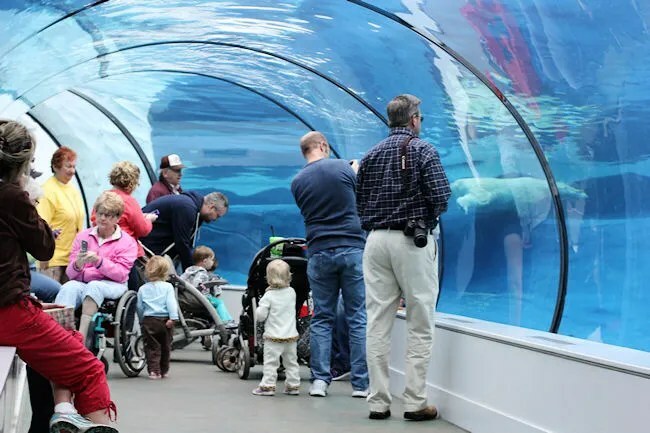 The Polar Bear Tunnel and The Australian Outback Experience were the two things, to me, that really makes the Detroit Zoo stand out. I hope this becomes a yearly trip for us. We love taking L to the zoo and The Detroit Zoo has almost (no elephants 😦 ) everything we could want.